Provides support through non-restrictive compression to decrease stress on the knee. Built-in viscoelasticgel U-Point™ insert focuses compression and support where needed and helps improve patella alignment. 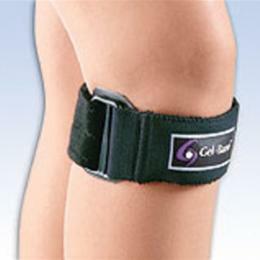 Wearinferior or superior to support either the patellar tendon or quadriceps. Colors: Beige or Black.HCPCS Code: A4465 Series Sizes Fits 37-500 Universal 11 - 18" Measure around center of knee. Fits right or left.